Coming close on the heels of SXSW’s inaugural Gaming Awards on March 8th, the winners of the BAFTA Games Awards may have come as no surprise. 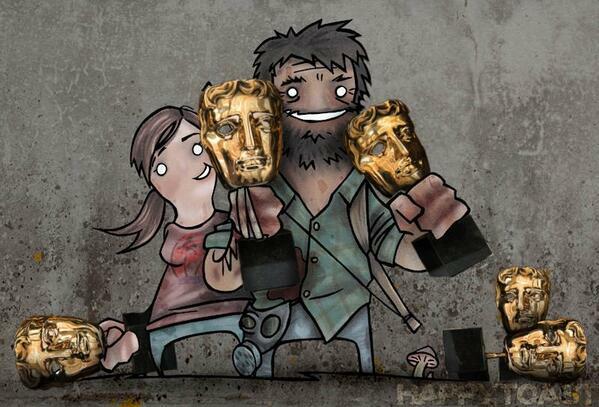 NaughtyDog’s The Last of Us was the star of both events: the only game to win multiple categories at SXSW (Excellence in Musical Score and Game of the Year) and the game with the most wins at the BAFTAs, picking up five of its ten nominations. Grand Theft Auto V was close behind, however, winning three awards, two in categories where The Last of Us was also nominated.